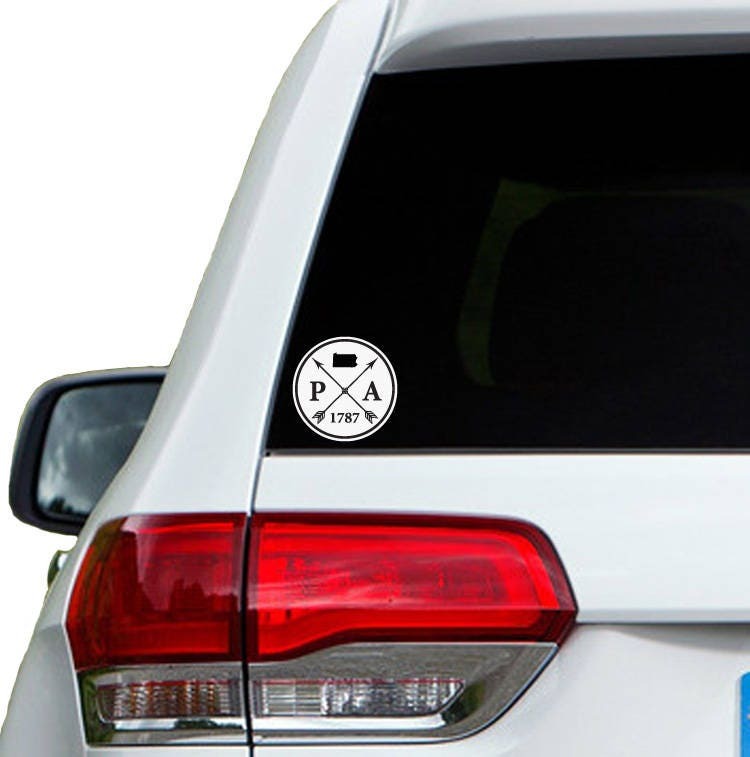 This car window decal is an awesome way to let everyone know what state you love. We pride ourselves in creating top-notch designs to help you represent your favorite state! The decal is 3.5" in diameter. It shows the shape of the state, its letter abbreviation and the year the state was founded / joined the Union of the United States of America. It can be applied to cars, windows, Yeti tumblers, laptops, tablets, water bottles and any smooth surface. It's printed on a premium outdoor, self-adhesive glossy vinyl that will last for years on your car without fading, cracking or peeling. All decals are shipped via USPS First Class mail (2-5 business days for US orders) from NC. Homeland Tees is a family run operation with an impeccable reputation for customer service and quality. Check out our reviews and sales records to see that we have sold thousands of items to satisfied customers since we opened the shop in 2012. We aim to create unique and trendy items that help our customers show their state pride. We love our home and we know you love yours.